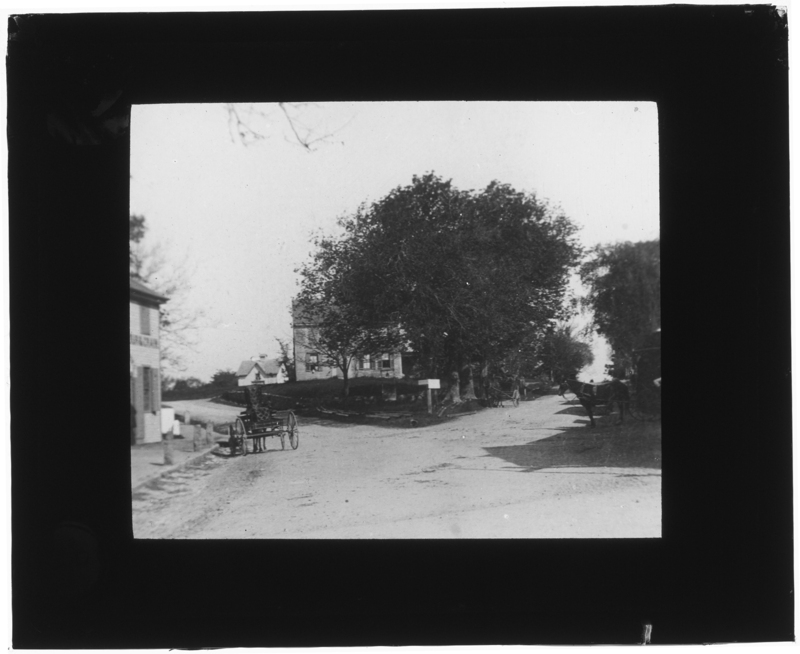 One of the many lantern slides collected by Emily Fuller Drew for the Jones River Village Historical Society, this image shows the Point, where Summer Street peels away from Main Street. 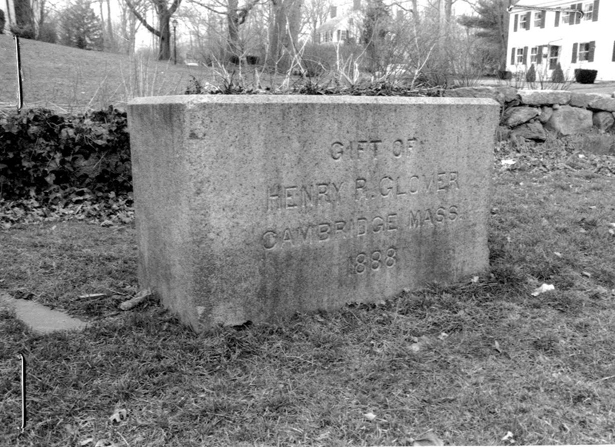 It was the center of Kingston before the railroad came through. 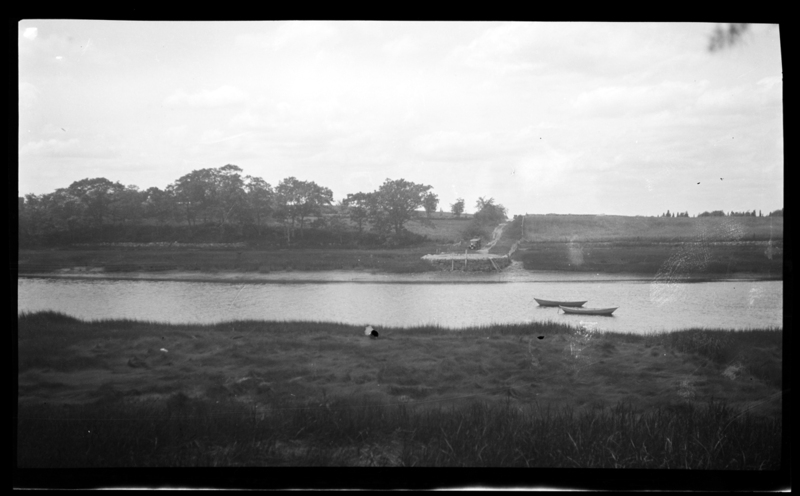 Emily’s “#39” refers not to an address, but to another lantern slide. 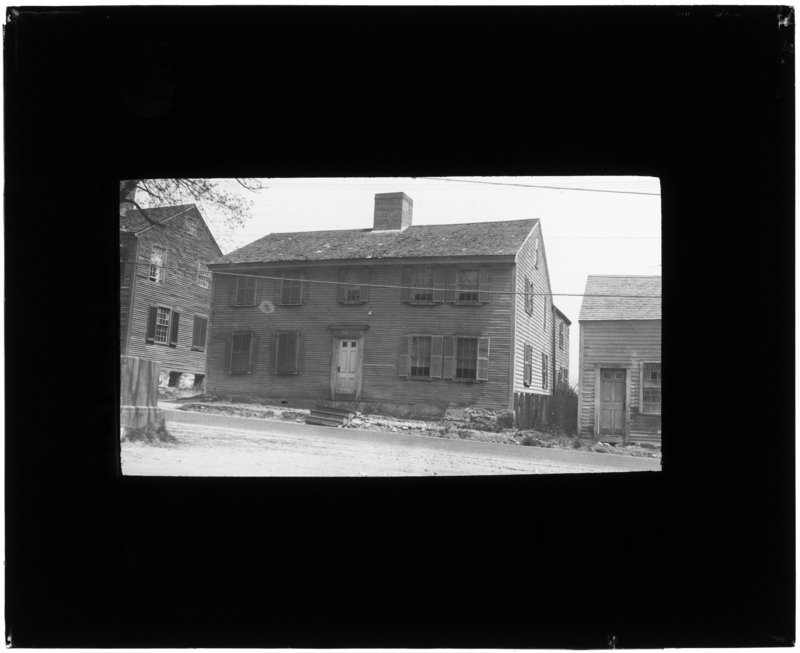 In 172_, Samuel Foster bought of Maj. John Bradford a piece of land, part of the Bradford farm, joining the land of John Brewster, #135, and lying on the east side of Boston Road ( Summer St.) Here Foster built a house in which he lived __ years. 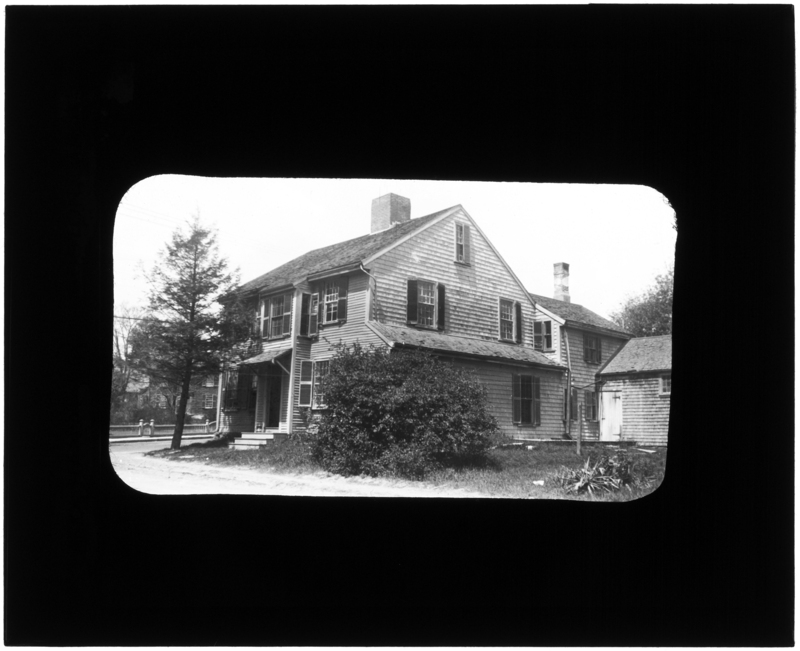 In 175_, he sold the place to Wrestling Brewster, son of Deacon Wrestling and built a second house, a much larger and more pretentious house, nearer the junction of Green and Summer Streets, the present Harry Cook house (east side of Summer St.). Time to scrape the barnacles off the hulls, check the lines and gear, and get the fleet ready for the season! Naturally a damp, spring spot. When cemetery was planned [in 1853], the spot was drained and curbed as shown. 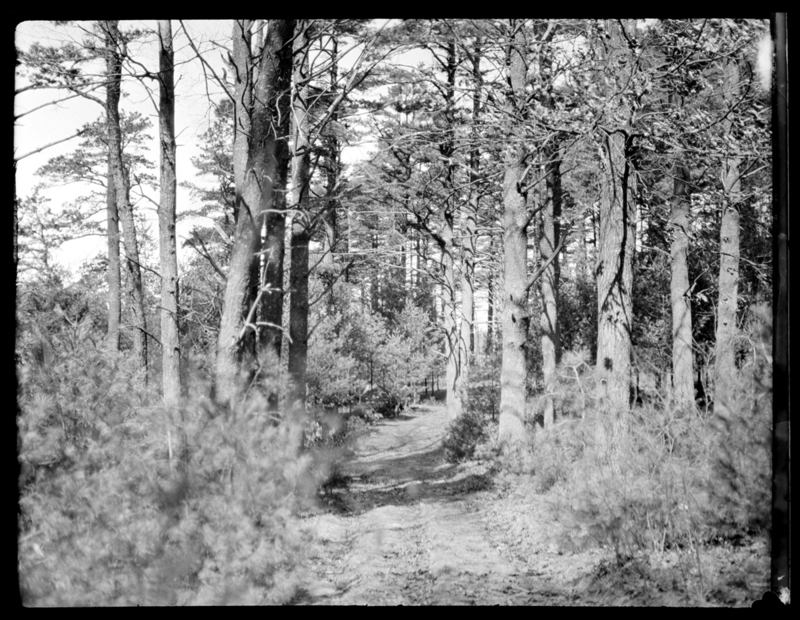 Later the pines were cut down or broke down from winter ice, and the spot was landscaped. 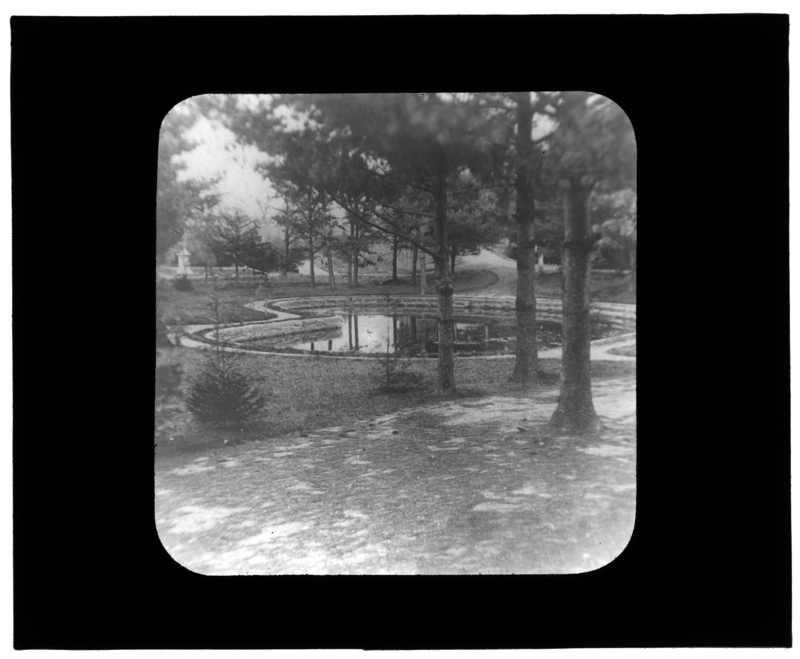 Mr. Edgar Reed gave the granite seat on the north side of the pond. 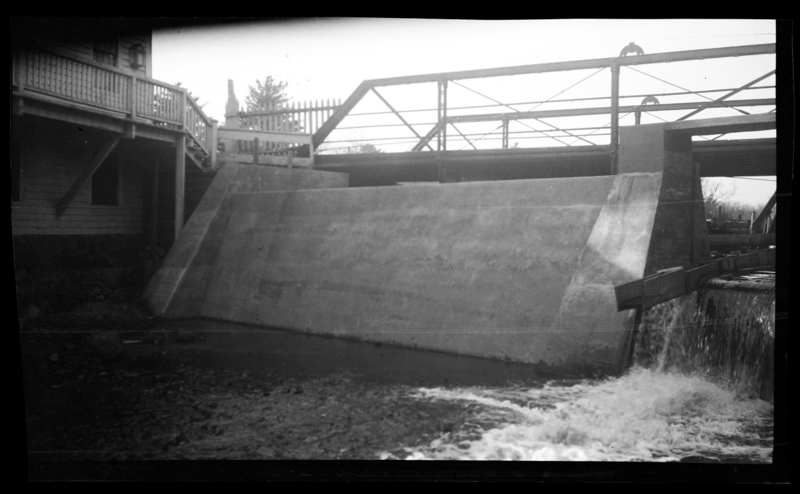 The Elm Street dam may go the way of its upstream relative, the dam at Triphammer Falls just off Wapping Road, which was removed in 2011. 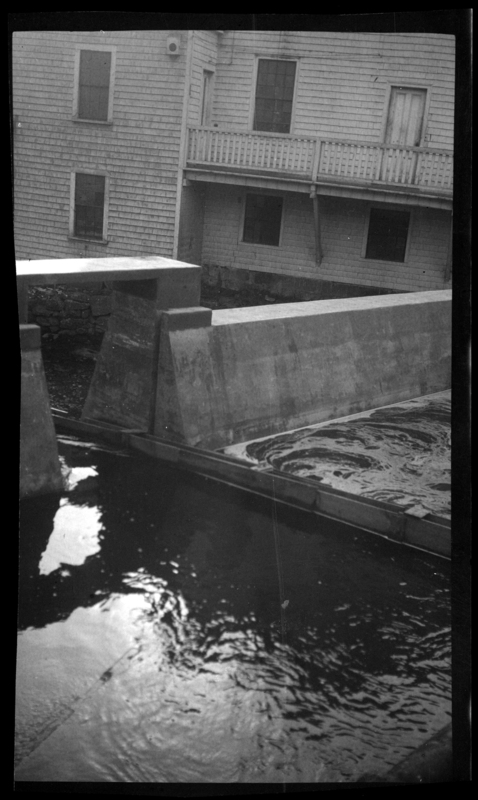 The question of dam removal is a complex one, made doubly so in Kingston and other New England towns by the age of many of the dams. To find out more about the issue, take a look at the FAQ and other information about dam removals posted by American Rivers, a non-profit focused restoration and conservation of rivers across the country; and at the Dam and Seawall Repair or Removal Fund run by Massachusetts’ Executive Office of Energy and Environmental Affairs. 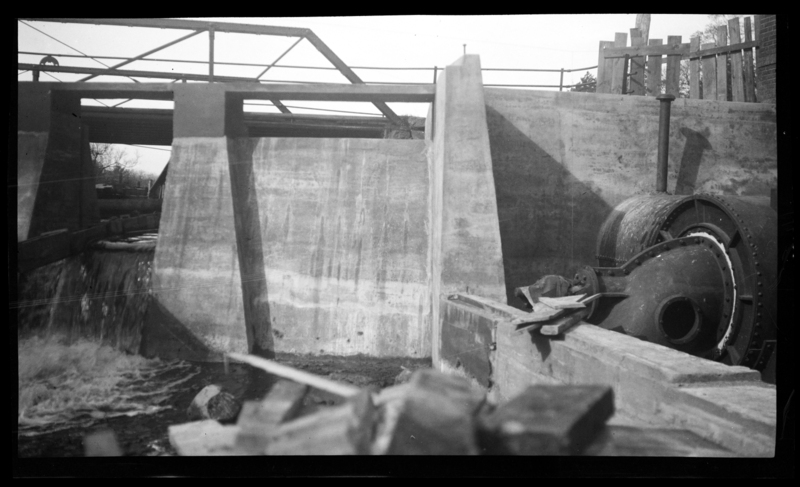 Here are some photographs of the Elm Street dam when it was new, sometime in the 1920s. Though not in town, the lighthouse at the Gurnet — formally known as the Plymouth Light Station — is familiar to many Kingstonians. The Massachusetts legislature authorized the first lighthouse on the Gurnet in 1768; it burned to the ground in 1801. The federal government replaced the original with a pair of towers, which served for the next 41 years. Our photo shows the twin wooden towers built in 1842 to replace the earlier pair. 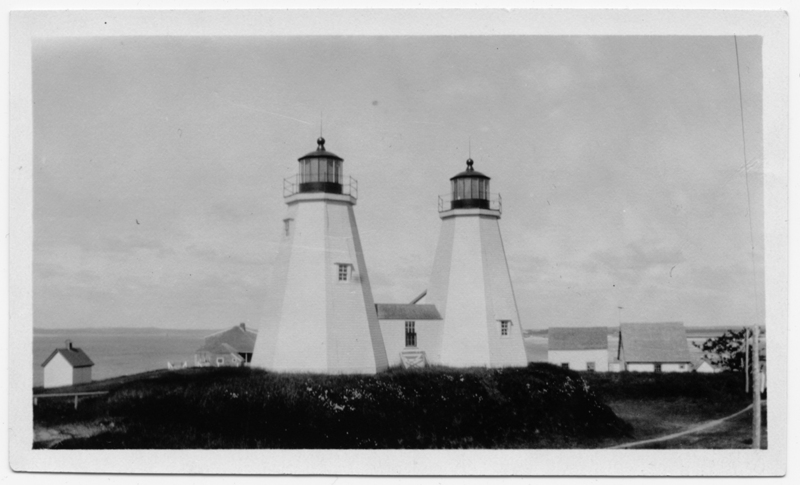 The two lights stood together until 1924, when the northeast tower was taken down. The current tower stands 39 feet tall, 102 feet above water; it is wood framed and shingled. The light flashes an alternating single, then double white every 20 seconds, with a red sector marking the Mary Ann Rocks. In 1977, the light was placed on the National Register of Historic Places. It is the oldest freestanding wooden lighthouse in the United States. In 1997, the Coast Guard moved the remaining tower 140 feet north, away from the eroding cliff. Two years later, the light was turned over to the nonprofit Project Gurnet & Bug Lights Inc., which manages the two. Sources: Photo from the MC21 Hathaway Collection; text from the “Plymouth Light” Wikipedia entry, a report from the Coast Guard Historian’s Office, an article on Lighthouse Friends, and the Project Gurnet site noted above. Here are a few from Emily Drew for you. Singing pines, circa 1925. By Emily Fuller Drew. 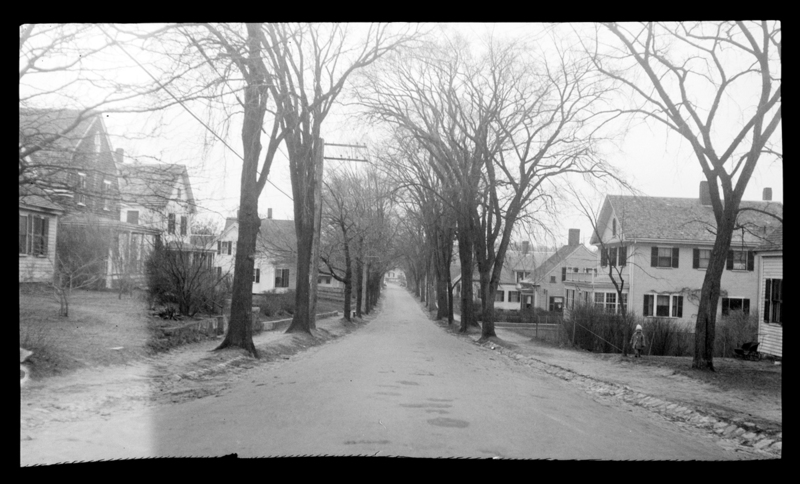 Summer Street looking south before the widening, 1927. By Emily Fuller Drew. 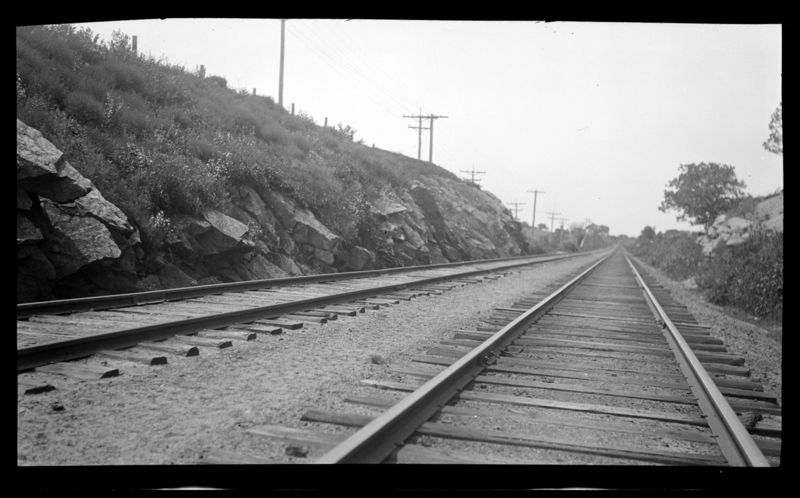 Railroad tracks, 1920. By Emily Fuller Drew. For more, visit the Kingston Public Library, and the Local History Room, and the full blog piqueoftheweek.wordpress.com. 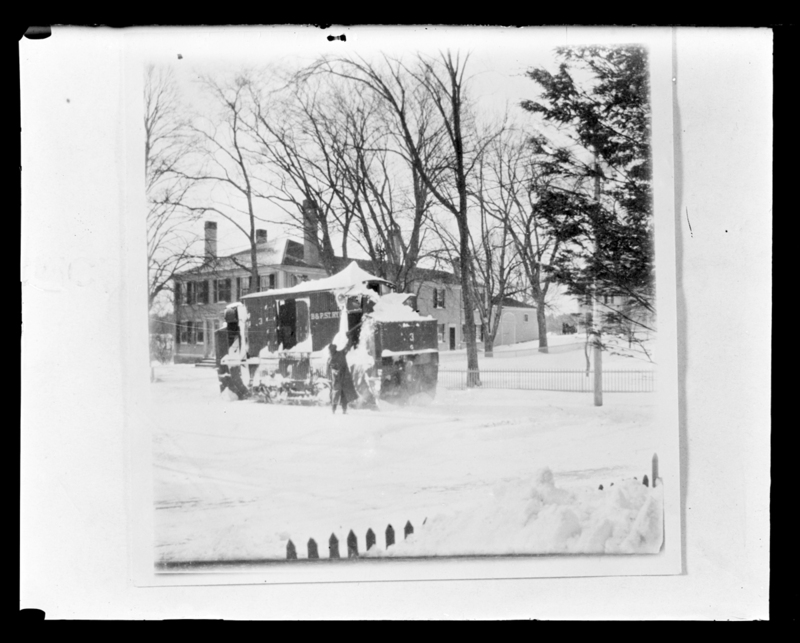 The trolley ran through Kingston from 1889 to 1928, and while the traffic definitely increased in the summer, the cars ran all winter too. 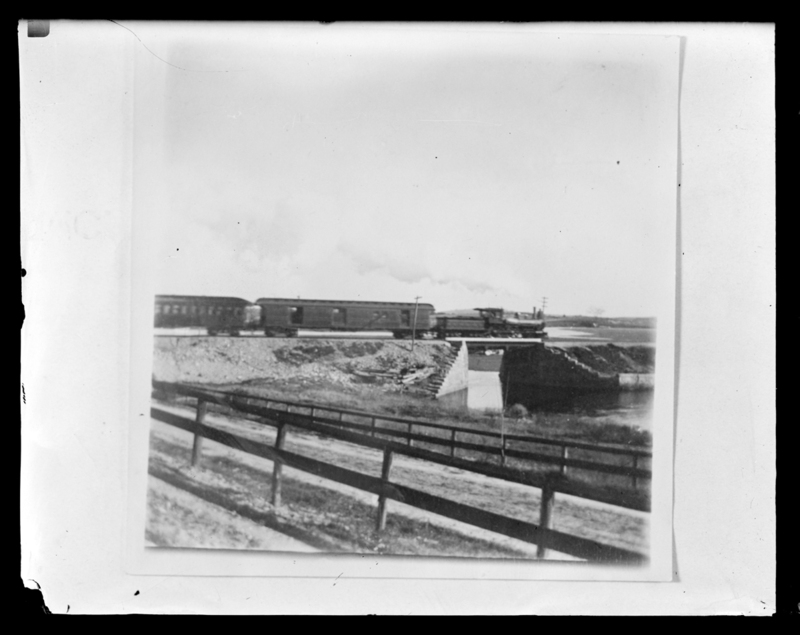 In 1922, when the Brockton & Plymouth (successor to the Plymouth & Kingston and predecessor to the Plymouth & Brockton) owned the line, the rolling stock included three snowplow cars. 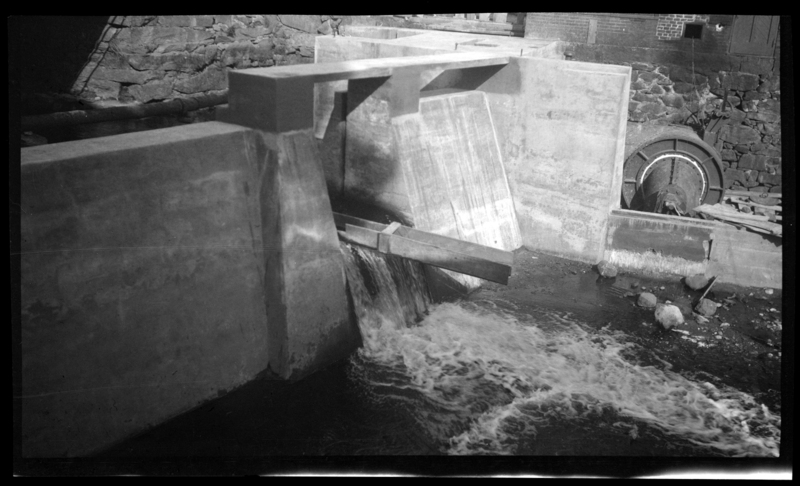 One is shown here, scanned from a glass plate negative copy of an earlier photographic print. Without a date, it’s hard to know if this train belonged to the Old Colony Rail Road, or the Old Colony and Fall River, or the Old Colony and Newport (you can imagine that Fall River was a little peeved when that happened), or the New York, New Haven and Hartford, or some other corporate conglomerate name for the railroad that ran through Kingston starting in 1845. It is the bridge that crosses the Jones River, so it is at least fixed in place. 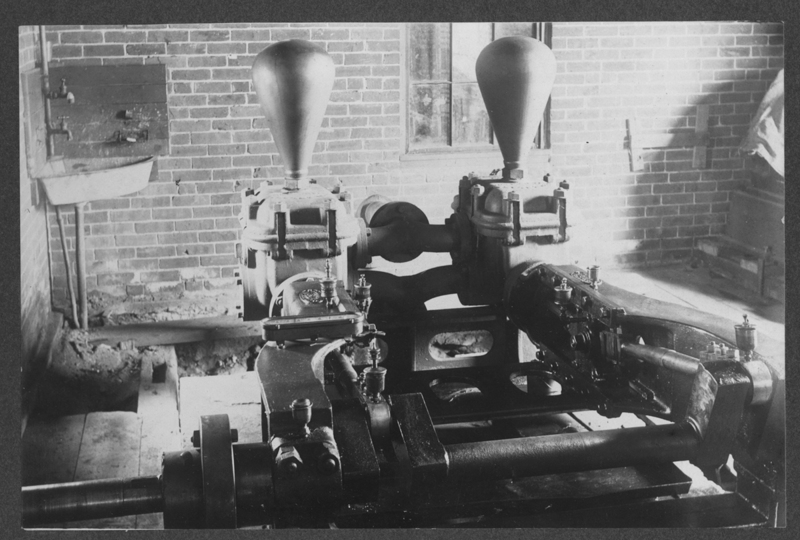 Voted that the committee chosen by the Town to settle with the City of Brockton* be authorized to purchase for the town an electric motor or motors of such power and design as in their judgment shall be suitable, and install the same at the pumping station. Voted, That the Committee chosen to settle with the City of Brockton be authorized to contract with the Plymouth Electric Light Co. for the extension of the lines of that company to connect with the pumping station. 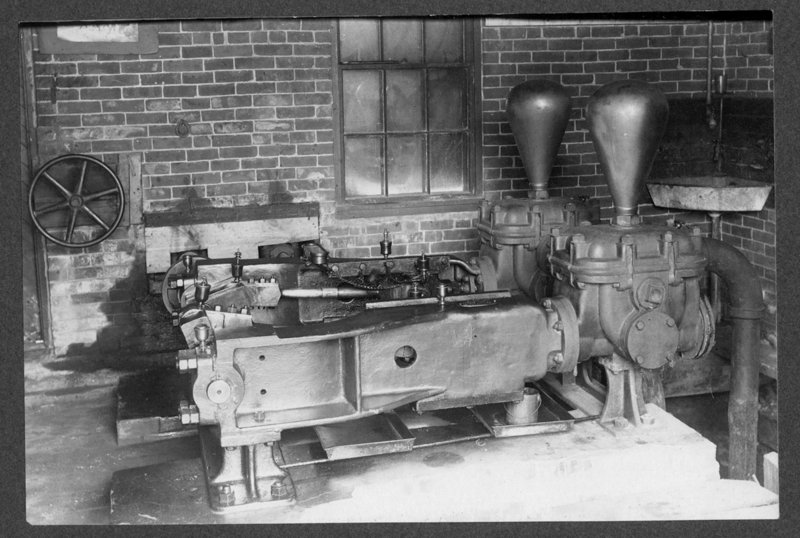 Voted, That the committee chosen to settle with the City of Brockton be authorized to purchase such additional pumps and other machinery, and other apparatus as may in their judgment be necessary for the proper operation of the pumping station. Voted, In order to provide money to be expended for the improvement of the water works, including power therefor, as voted at the special town meeting held May 28, 1906, that the Treasurer be, and hereby is, authorized to borrow a sum not exceeding five thousand, five hundred dollars, and to issue therefor the notes of the town each for the sum of five hundred and fifty dollars, bearing interest at a rate not exceeding 4 1/2 per cent. per annum, payable semi-annually, dated August 1st, 1906, and payable on at the end of one year from said date, and one at the end of each year thereafter until all are paid. The said notes are to be signed by the Treasurer, and countersigned by a majority of the Selectmen. 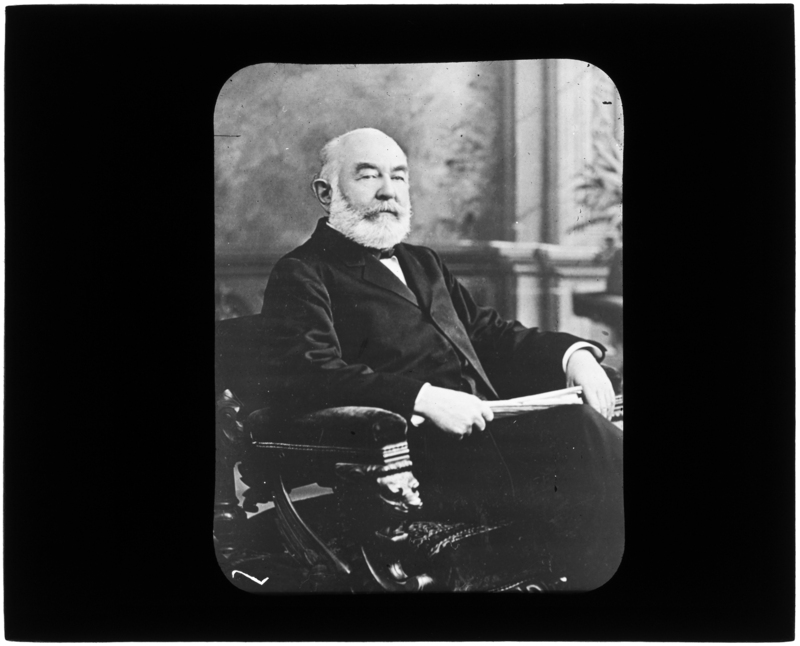 * This committee had been appointed in 1905 and “authorized to settle all claims which the Town has or may have against the City of Brockton for the taking the water of Silver Lake.” Members included the Water Commissioners — George B. Holmes, Edward G. Brown and Truman H. Fuller — along with Charles H. Drew and James L. Hall.